“What does it take to become a legend—an icon of design?,” Luxe Interiors + Design editor in chief Pamela Jaccarino asked the audience at WESTWEEK 2017. “One has to be a powerhouse, superbly talented, selflessly committed with unwavering energy and clear-sighted vision,” she continued. “One must be an arbiter of refined taste, have a fierce passion for design, boundless creativity, preside over every detail, and be a quintessential professional. 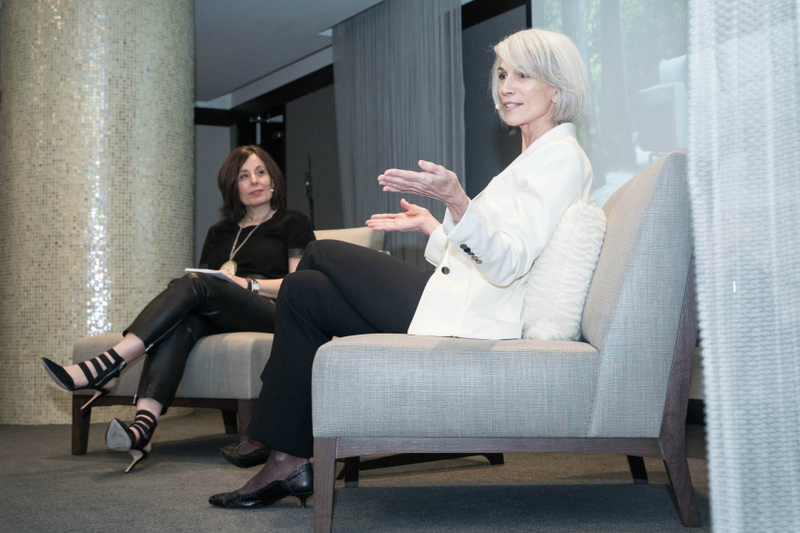 Holly Hunt not only embodies this spirit, she wrote the book on it.” And with that, day two of the PDC‘s annual spring market commenced with the keynote, “The Woman Behind the Name,” an intimate discussion between Pamela and Holly.